The Ryries have suffered a loss: the death of a baby just fifty-seven hours after his birth. Without words to express their grief, the parents, John and Ricky, try to return to their previous lives. The couple's children, ten-year-old Biscuit and thirteen-year-old Paul, responding to the unnamed tensions around them, begin to act out in exquisitely idiosyncratic ways. 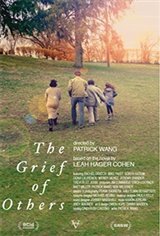 But as the family members scatter into private, isolating grief, an unexpected visitor arrives, and they find themselves growing more alert to the hurt, humor, warmth, and burdens of others - to the grief that is part of every human life but that also carries within it the power to draw us together.